All About Fracking is designed to answer your questions about Canadian hydraulic fracturing, also known as fracking. In 2013, the Petroleum Services Association of Canada (PSAC), with support of their member companies that provide frac services, visited communities across Western Canada. PSAC heard first-hand the communities’ concerns about fracking. They also gained an understanding as to the degree of conflicting information people are forced to sort through in order to make an informed opinion about fracking. Why We Frac? Why is it important? Fracking is the only way to extract oil and natural gas from some types of rock, including shale and tight rocks deep underground. The energy produced by Canada’s oil and gas industry is vital to our well-being. It enables us to transport goods and people, feed and clothe us and warm our workplaces, schools, hospitals and homes. In the mid-2000s, North American natural gas production was declining and “peak oil” or the beginning of oil production’s downward trend was forecasted to be fast approaching. Both Canada and the United States were preparing to import natural gas from other countries, domestic prices were facing significant increases and coal was becoming a more attractive energy source. Modern fracking reversed the decline in natural gas production and unlocked significant new supplies of oil and natural gas in North America. Natural gas is a clean burning energy source, which can play an important role in reducing global greenhouse gas emissions by displacing coal. Fracking was first used in Canada in 1951 near Virden, Manitoba in 1951. In Alberta, fracking was used to extract hydrocarbons from the Pembina oil field in 1953. Today, fracking is used to produce both oil and natural gas in British Columbia, Alberta, Saskatchewan and Manitoba. 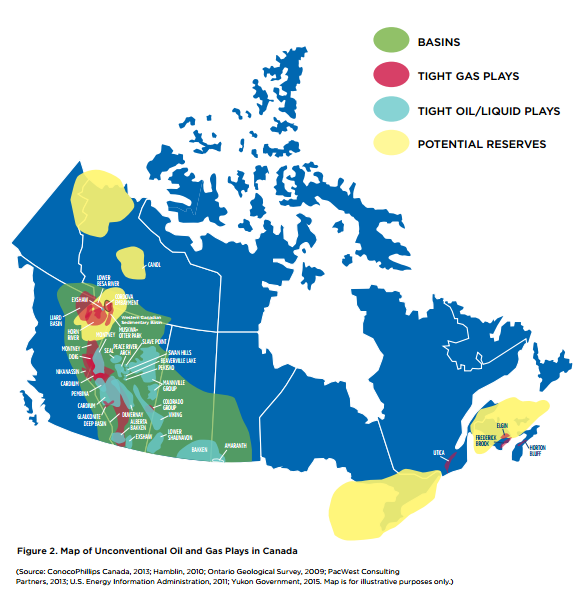 The evolution of fracking techniques has increased the potential to expand resource development across other provinces. The science and technology of fracking have evolved over the past 60 years, becoming more productive, sophisticated and safer. The combination of fracking with multi-stage fractures and horizontal wells has been a game changer for the industry’s oil and natural gas production. The oil and gas industry continues to implement the use of new technology to improve well performance and minimize the amount of water and additives required for the completion of its wells. How much of the fluid used for fracking is water? Water is the preferred component of most frac fluids because it is effective for transmitting pressure downhole to create cracks in the rock, can carry sand to the targeted formation and is the safest, most environmentally friendly base fluid that can be used during fracking. Industry is continually working to develop new technologies to reduce fresh water usage and replace it with non-potable sources.